The Seattle area job market is not slowing down anytime soon. There continues to be an increasing demand for qualified workers who possess a wide range of skills. Sure, there will always be a need for experts with a specific skill set, but that has been changing for many modern-day jobs. These days, many open positions in business and technology are searching for candidates with a Swiss Army Knife repertoire of skills. What this means is that employers are in need of people who can perform a multitude of tasks relevant to their industry, rather than specialize in one specific skill set. Chris Lewis is a former student and instructor of Bellevue College Continuing Education who recognized this shift and decided to enhance his skills to meet these demands. As a Digital Consultant and Product Owner, Chris determined it would be beneficial to get certified as a ScrumMaster and Product Owner. He started out as a Product Owner managing a team of ScrumMasters, and realized the Certified ScrumMaster course at Bellevue College Continuing Education was the necessary next step to grow his career. Chris began with the ScrumMaster workshop taught by Angela Druckman, which has been one of the most popular Project Management classes since it was first offered at BCCE two and a half years ago. The instructor, Angela, incorporates interactive class projects into the two-day workshop so that students can get a feel for what it’s like to manage a real-world Scrum project. “Angela is awesome. She breaks things down plain and simple, and keeps it fun,” says Chris. Once he acquired these highly sought after skills in the digital and tech industries, Chris was inspired to share his newfound knowledge with others. He taught two SEO (Search Engine Optimization) classes in 2016 at Bellevue College Continuing Education, and was an advisory committee member on the UX Design Certificate to help develop the program. Chris is one of a handful of students who also became an instructor and realized the immense value of continued education and lifelong learning. There is an endless amount of information out there to learn. You just never know where your career and professional development will take you next. Ready to get started? 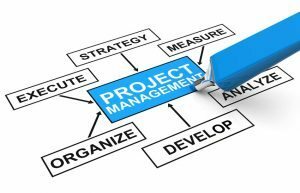 Check out upcoming classes in Project Management.